TheGreenLanternCorps: Thank you for taking the time to do this, it is well appreciated. With the New Talent Showcase being released so soon after its announcement, I wanted Green Lantern fans to get a chance to meet the man behind the latest story in the chapter of Kyle Rayner. 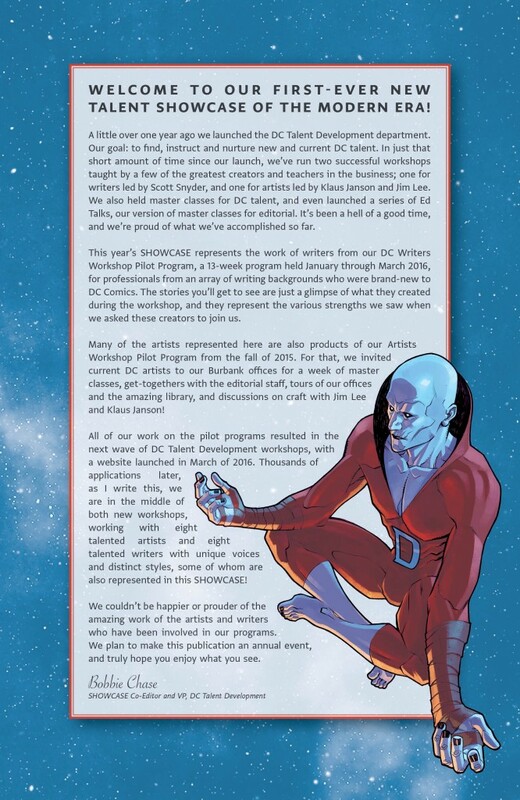 How did you become involved with DC’s Writer’s Workshop? Can you describe that experience? MM: I was very, very lucky to be chosen for the pilot program back in December of last year. I was stunned, but, believe me, it was a dream come true to be involved with such great people. I’ve always stood by the belief that writers are always learning—or at least should always be learning. I’ve been writing at least semi-professionally for over a decade now; I have a master’s in writing from Northwestern University. Still, I learned a TON from sitting and listening to Scott Snyder (the class’s teacher) talk about writing. I learned new things about character, plot, structure, and more. I couldn’t be happier with how it turned out, and because of the class, I now have opportunities to write for DC. 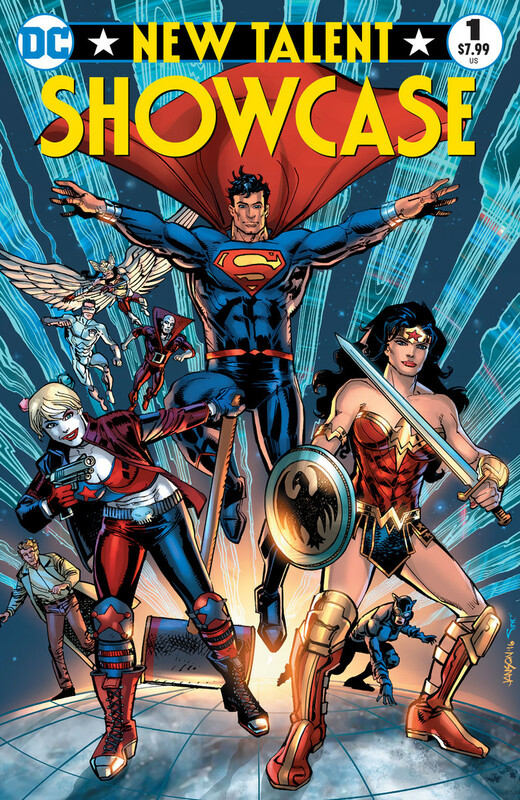 TheGreenLanternCorps: When were you told you would be working on the New Talent Showcase? Were you given Kyle as a character to write for or did you pitch this short story? MM: The thing is, this story is actually a chunk of a complete script I wrote for the class. We all had to write scripts, and I did one on Kyle as a White Lantern because, well, I love Kyle. I love space and sci-fi, so it was a slam dunk decision for me. And when DC asked what of my class work I’d like to use in the Showcase, it was an easy, easy decision. TheGreenLanternCorps: As a novelist and a fan of expansive sci-fi, how difficult was it to condense a character like Kyle Rayner to 8 pages and still tell a satisfying story? TheGreenLanternCorps: Speaking of Kyle Rayner, you mentioned in the press release that the character “hit a major chord” with you. What is your history with Kyle and being a Green Lantern website, I have to ask…is he your favorite lantern? MM: Without question, Kyle is my favorite. I love that he’s so, I don’t know…average. I mean, he’s not average, he’s anything but, although his story is one of rising to the occasion. He started as a character who was least likely to follow Hal. I mean, you think of Hal, and he’s the template for heroism—fighter pilot, daredevil, unflinching in the face of danger. But Kyle? Kyle’s an artist. He’s just a guy with a big heart who strives by wanting to do the right thing. I’ve always gravitated towards characters who are the least likeliest to be in a certain position but are thrust into extraordinary situations anyway. Sci-fi and fantasy, of course, are ripe with this archetype. TheGreenLanternCorps: As a primer for this story, did you read any older Kyle Rayner stories? 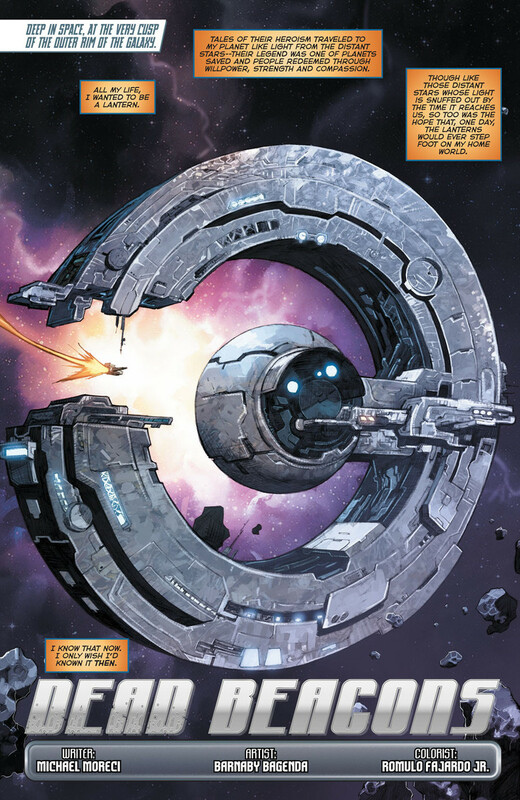 Have you read Tom King and Barnaby Bagenda’s The Omega Men? MM: Oh yeah. I LOVE Omega Men. And I loved Marz’s origin story. Both are terrific in their own way. On one hand, you have Marz, who writes with big emotion and heart, and on the other hand you have this gritty, dark political allegory that still really hits Kyle at his core. Both are tremendous stories. TheGreenLanternCorps: Were you able to get a full collaborative experience working with Barnaby Bagenda and Romulo Fajardo Jr. as your art team? Can you describe what they bring to these pages? MM: I was part of the process to a degree, but those guys don’t me sticking my nose in things, haha. They’re both so great, and there’s no doubt they know what they’re doing. The results are gorgeous—I couldn’t ask for better collaborators. TheGreenLanternCorps: Green Lantern fans are always looking ahead to the next big thing, which is probably why a guy like Geoff Johns was able to make such huge waves on the title. We know Hal Jordan and the Green Lantern Corps writer Robert Venditti has plans for Kyle Rayner. Have you spoken to him or the GL editors about the character’s future? Will you be involved in any future Green Lantern or DC stories? MM: I have, a little bit, but there’s nothing concrete at the moment. I certainly hope I get to do more work in the Green Lantern universe, though!